Serum amyloid A proteins are induced during the acute-phase response. Secondary amyloidosis is characterised by the extracellular accumulation in tissues of SAA proteins. SAA proteins are apolipoproteins. The serum amyloid A (SAA) proteins comprise a family of vertebrate proteins that associate predominantly with high density lipoproteins (HDL) [(PUBMED:7504491), (PUBMED:8188253)]. The synthesis of certain members of the family is greatly increased (as much as a 1000 fold) in inflammation; thus making SAA a major acute phase reactant. While the major physiological function of SAA is unclear, prolonged elevation of plasma SAA levels, as in chronic inflammation, however, results in a pathological condition, called amyloidosis, which affects the liver, kidney and spleen and which is characterised by the highly insoluble accumulation of SAA in these tissues. 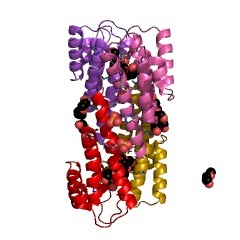 SAA are proteins of about 110 amino acid residues. The most highly conserved region is located in the central part of the sequence. The proteins are polymorphic, the various isoforms apparently capable of responding in different ways to different stimuli. There are 643 SAA domains in 624 proteins in SMART's nrdb database. Taxonomic distribution of proteins containing SAA domain. This tree includes only several representative species. The complete taxonomic breakdown of all proteins with SAA domain is also avaliable. Click on the protein counts, or double click on taxonomic names to display all proteins containing SAA domain in the selected taxonomic class. Evolution of the serum amyloid A (SAA) protein superfamily. The serum amyloid A (SAA) superfamily comprises a number of genes and proteins characterized from a range of mammalian species. The majority of members described to date are dramatically induced during the acute-phase response, suggesting an important short-term beneficial role in the response to tissue injury and inflammation. However, important disease associations have also been proposed for certain SAAs during chronic inflammation. The nomenclature of many of the superfamily members has been the result of comparisons with previously reported sequences implying disease association and/or functional relatedness between such members. The evolutionary relationships of the SAA superfamily members have been investigated by comparisons at both the amino acid and the nucleotide level. The results indicate that all members of the superfamily within a species have been undergoing concerted evolution. This has important implications in ascribing functions and disease associations to individual SAA superfamily members and indicates that designations should not be based on the extent of amino acid identity alone but should be made only following direct experimental observation of the proteins themselves. 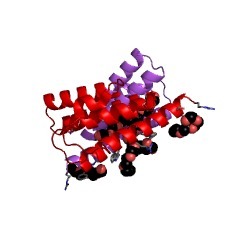 Serum amyloid A (SAA): an acute phase protein and apolipoprotein. Serum amyloid A (SAA) proteins comprise a family of apolipoproteins coded for by at least three genes with allelic variation and a high degree of homology between species. The synthesis of certain members of the family is greatly increased in inflammation. However, SAA is not often used as an acute-phase marker despite being at least as sensitive as C-reactive protein. SAA proteins can be considered as apolipoproteins since they associate with plasma lipoproteins mainly within the high density range, perhaps through amphipathic alpha-helical structure. It is not known why certain subjects expressing SAA develop secondary systemic amyloidosis. There is still no specific function attributed to SAA; however, a popular hypothesis suggests that SAA may modulate metabolism of high density lipoproteins (HDL). This may impede the protective function of HDL against the development of atherosclerosis. The potential significance of the association between SAA and lipoproteins needs further evaluation. Mouse amyloid protein AA: Homology with nonimmunoglobulin protein of human and monkey amyloid substance. The major protein extracted from anyloid deposits induced in mice by injection of either Candida albicans cells or sodium caseinate was found to have chromatographic and electrophoretic properties and an amino-acid compostiion characteristic of the AA class of amyloid proteins. The homology of the mouse protein with protein AA from man and monkey was established by determination of the sequence of the first 28 amino-acid residues. Amyloid. 3. 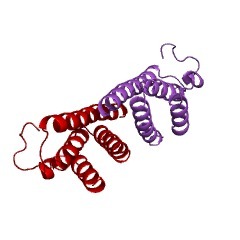 A protein related to the subunit structure of human amyloid fibrils. SwissProt sequences and OMIM curated human diseases associated with missense mutations within the SAA domain.